Anyway, sewing has fallen out of fashion, but I really wish it was something that more people knew how to do. 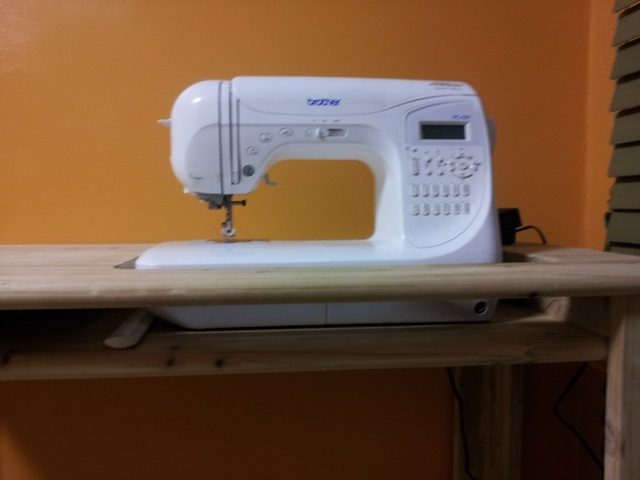 When you know how to sew, you appreciate the amount of work that goes into making a garment. You appreciate garments that are well made, and you instinctively realize how terrible it can be to purchase what basically amounts to “disposable” clothing (I’m looking you, Forever 21) since that kind of workmanship very often is tied to very poor, sweatshop conditions. Anyway, owning a sewing machine is great, but it’s only part of the package. A proper sewing table completes the package because enables me to have the sewing surface level with the rest of the work surface. 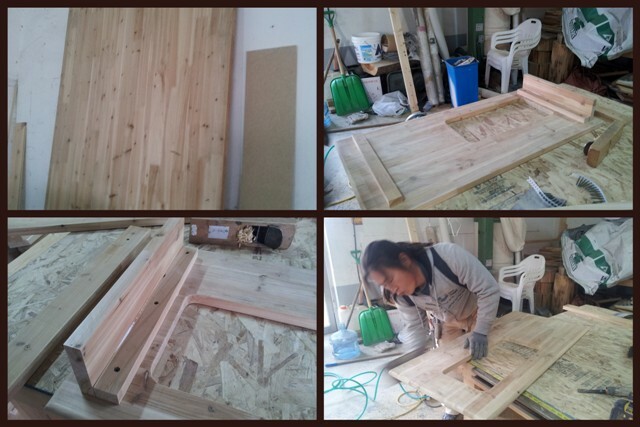 Luckily, my husband is a carpenter, and I have some experience with woodworking as well. Once I drew up a design, I was able to discuss it with my husband and he worked his magic to bring it to fruition. And voila! 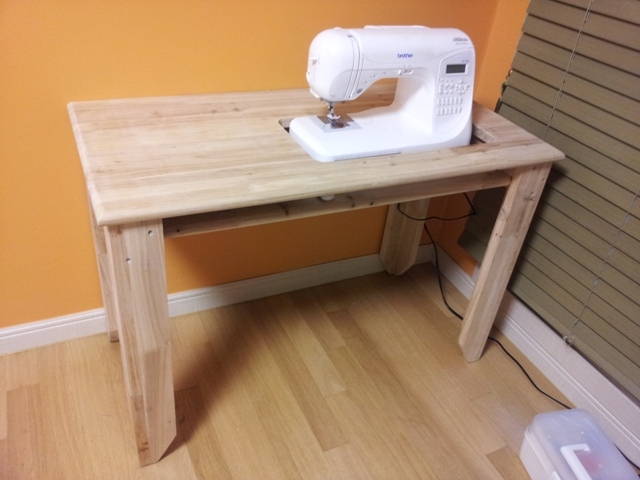 A sewing table with a second level for the machine, and some storage space to boot! Thanks, Yoongu!